Few topics are as interesting and contentious as the role, status and future of Muslim communities in the West, specifically Western Europe, North America and Australia. What makes this topic uniquely controversial, and the subject of unprecedented scrutiny, is that issues related to integration and difficult aspects of Muslim culture, such as the Hijab, are often conflated with security concerns. Security considerations, and specifically fear of terrorist attacks by individuals claiming affiliation to the so-called Islamic State group, disproportionately affects the debate on the direction of travel of Muslim communities in the West. Amongst Western countries, the United Kingdom arguably accommodates the most diverse and dynamic set of Muslim communities. Whilst the reasons for this are manifold, the resulting socio-cultural and political effect is the subject of intense media scrutiny, in addition to more thoughtful and nuanced academic study. Interest in the state of affairs and complexities of the UK’s Muslim communities has intensified in recent years in large part owing to the tough ideological stance of the governing Conservative party, whose leader and Prime Minister David Cameron is determined to crack down on what he calls the “root causes” of radicalisation. In practice this policy position translates into a concerted political attack on the intellectual, ideological and theological trends associated with the Islamic revivalist movement, few of which are directly complicit in the processes of radicalisation, let alone acts of terrorism. 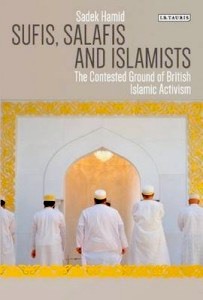 It is in this ideologically heady and politically charged environment that academic and former activist Sadek Hamid’s Sufis, Salafis and Islamists: The Contested Ground of British Islamic Activism, marks a sober, rigorous and authoritative contribution the debate. Whilst in recent years there have been numerous books and studies on the subject, Hamid’s contribution stands out for three reasons. First and foremost, this book is a voice from the inside and reflects years of community work in addition to extensive field research. 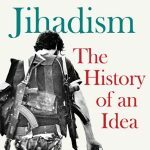 Second, as the author himself attests the book is a radical departure from other inside voices, notably ex-Islamists who with establishment support have successfully rebranded themselves as “counter-radicalisers”. Third, notwithstanding the author’s deep and sympathetic affinity with the subject, nevertheless the book is generally a dispassionate treatment of the issues at stake and is produced to a rigorous academic standard. Whilst the book is primarily suited to specialists and policy makers, it is nonetheless accessible enough to be useful to a wider informed readership. From a stylistic point of view, Hamid’s clear thematic organisation and chronological approach makes the contents easy to follow and digest. Hamid identifies four trends that have dominated the British Muslim landscape since the 1980s, namely reformist Islamist types, the Pan-Islamic Hizbut Tahrir (HT) organisation, the Salafi movement and currents associated with traditional Islam, notably Sufis. 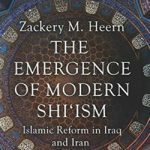 From an epistemological point of view, limiting the scope of research to these four trends is problematic as the UK Islamic landscape is composed of a broader range of trends and actors. For example, Hamid completely leaves out the UK Shia Muslim community. The chapters dedicated to the four trends are generally informative and on occasion offer original insights and information that improves our understanding of the points of origin of these movements (in the UK) as well as their evolution over several decades. In addition to charting the emergence and growth of these trends on British soil, Hamid also provides a richly descriptive narrative on the origins and evolution of these currents in the Muslim world. From that point he successfully interrogates the interrelationship, and in some cases symbiosis, between the local and the global. The chapter on Young Muslims UK and other Muslim Brotherhood and Jammat-e-Islami inspired groups is rich in detail and analytically trenchant. The content of this chapter is in part a testament to the rise and fall of the Muslim Brotherhood and its satellites on the British Isles. Similarly, the third chapter on the Salafis offers detailed insights on the relationship between these groups and their ideological patrons in the Middle East, and is particularly informative in terms of setting out a typology of Salafism as well as identifying the causes and trigger points of the divisions within this camp. The fourth chapter on the Sufis and the so-called “Traditional Islam” network is arguably the most informative section of the book, both in terms of its richly descriptive treatment of the origins and characteristics of Sufism as well as that trend’s contribution to the spiritual welfare of British Muslims. By contrast, the chapter on Hizbut Tahrir comes across as mildly partisan and betrays the author’s bias against this group. For example, while Hamid is at pains to emphasise the non-violent nature of Hizbut Tahrir, his broader description of the group’s quest for a caliphate as “Zionist-like” (p. 99) and his dismissal of them as a “talking shop” (p. 121) fails to adequately account for HT’s maturation on British soil and the resulting contribution to community activism. Hamid dedicates three chapters to charting, explaining and understanding the evolution and fragmentation of the four trends discussed above as well their contemporary resonance amongst the UK’s Muslim population. Through this effort the author attempts to predict and imagine future trends in British Islam in the context of a fast growing and evolving demographic. In this respect he demonstrates a sufficiently robust grasp of the existing literature and makes thoughtful use of them to advance his own arguments. The author’s conclusion is arguably the least interesting section of the book. His implied prediction of a post-ideological future is neither original nor sufficiently proven in the context of his own authoritative treatment of the subject. Moreover, his policy prescriptions are too short and generalised to make a deep impression on readers. Furthermore, arguably the author’s most important omission is his failure to discuss the need for and feasibility of genuine national representation for British Muslims. By omitting to discuss formal and establishment-sanctioned institutionalisation Hamid fails to predict one of the potential key drivers of British Muslim activism in the future. The lessons learnt from the failed Muslim Council of Britain  experience, coupled with the fragmentation of the four dominant ideological trends, point toward more innovative, collaborative and less sectarian forms of activism. Established in 1997, in part with encouragement from the then ruling conservative party, the Muslim Council of Britain set out to achieve national representation for British Muslims. Subsequently it became mired in controversy, specifically the parochial base of its leadership, and lost the confidence of both the government and the Muslim community. The MCB has been in decline for over a decade. Sadek Hamid, Sufis, Salafis and Islamists: The Contested Ground of British Islamic Activism, London: I.B. Tauris & Co, 2016, XVI+202 p.